Are you looking for the Best St. Patrick's Day Recipes? 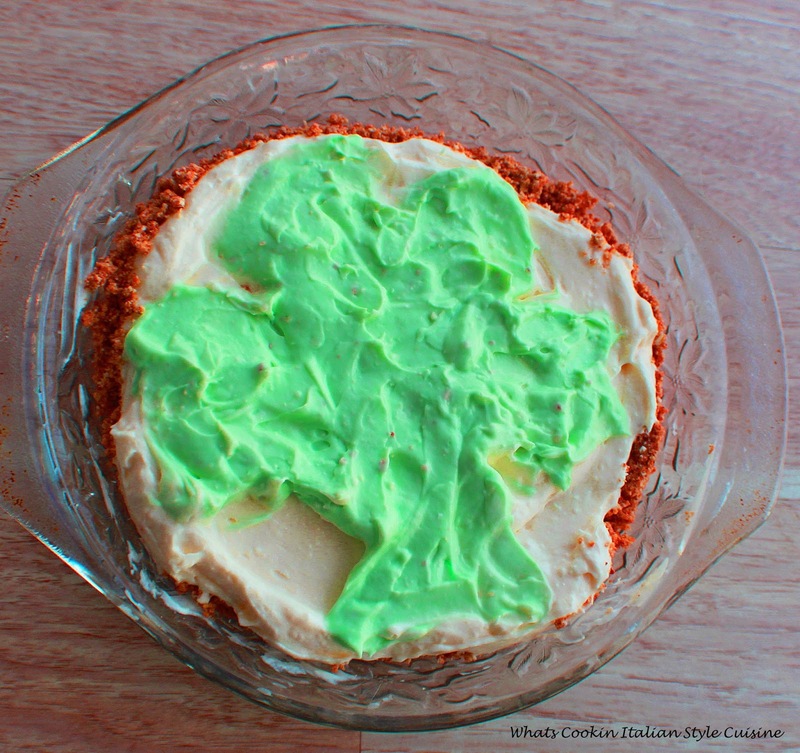 Here is a great roundup of recipes to celebrate your St. Patrick's Day from start to finish! 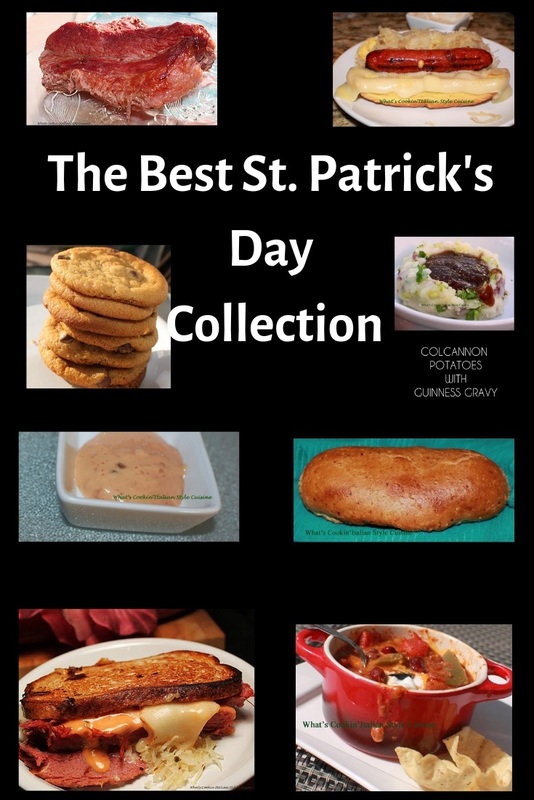 Being Irish for the day or lucky to have had the pleasure to eat many famous Irish dishes in local Irish pubs, I have recreated all of my favorites here. 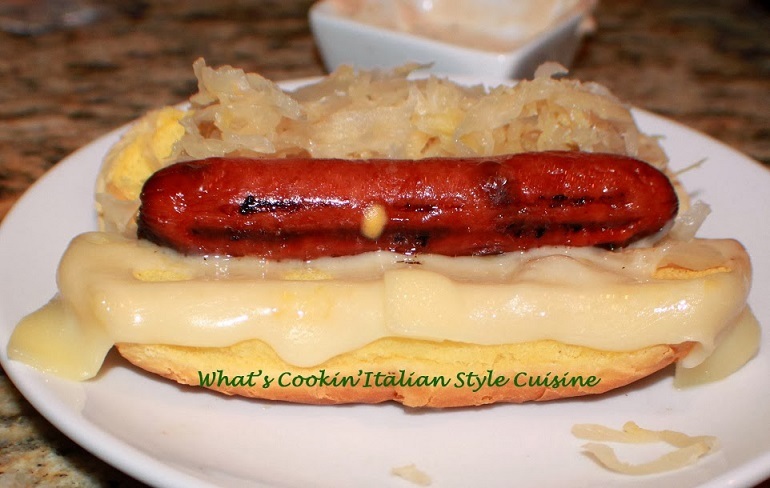 Anything from savory to sweet, as you scroll through the many recipes I have enjoyed over the years here, I promise you will be happy to be Irish for the day too as you savor all these wonderful homemade dishes from Slow Cooker Corned Beef with Guinness beer to Guinness chili, and Green Ambrosia, there is something for everyone. 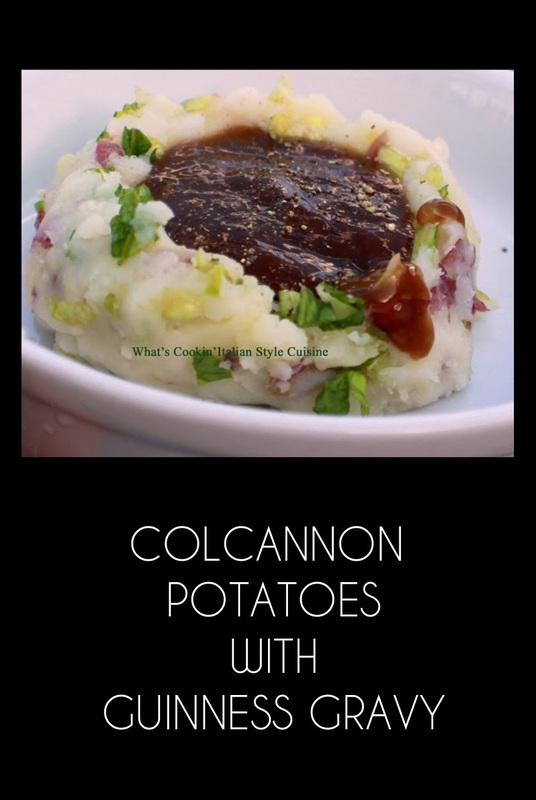 Don't forget to try one of my favorites, Colcannon mashed Potatoes with Guinness Gravy! 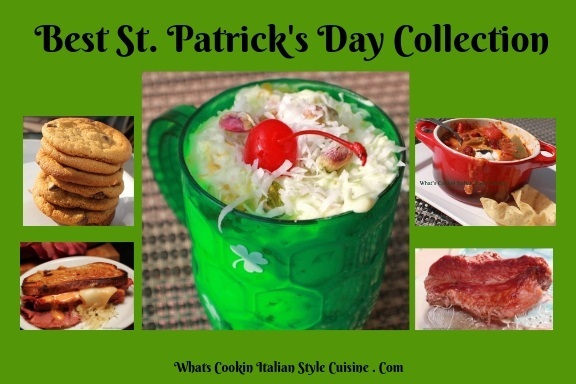 All these recipes are delicious, easy to make and perfect for anyone who loves to celebrate St. Patrick's Day, wishing you all the best of luck! I love all kinds of Holiday traditional foods and this is one of my favorites even though I am 100% Italian. I love to celebrate every month that has a Holiday no matter what it is. March 17, is celebrated in observance of the death of St. Patrick, the patron saint of Ireland. The holiday has evolved into a celebration of Irish culture with parades, special foods, music, dancing, drinking and a whole lot of green. Don't Miss My Other Favorite Holiday Collections! Fine looking list and I especially like the three reubens. SO many terrific recipes, Claudia! Bill won't eat corned beef, so I love all the other options. I think I have to make those chocolate chip cookies, too!!! You had me at Guinness! This chili looks amazing! OK, I'm totally confused!! I can't pick my fave Irish dish!! All amazing! Such a great enticing collection of recipes, Claudia, and my very favorite is the pistachio ambrosia salad! These are all really fun recipes! 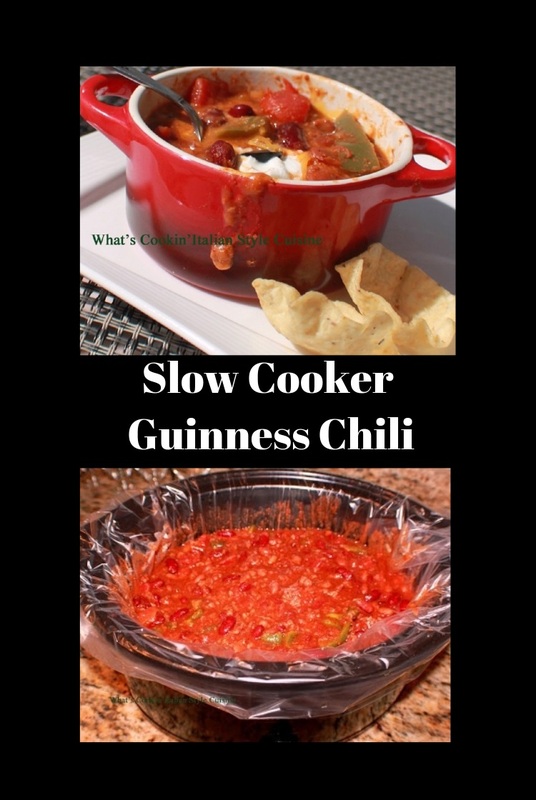 I HAVE to try your slow cooker guinness chili – looks crazy yummy. the best things about st. pastricks day is really the corned beef. 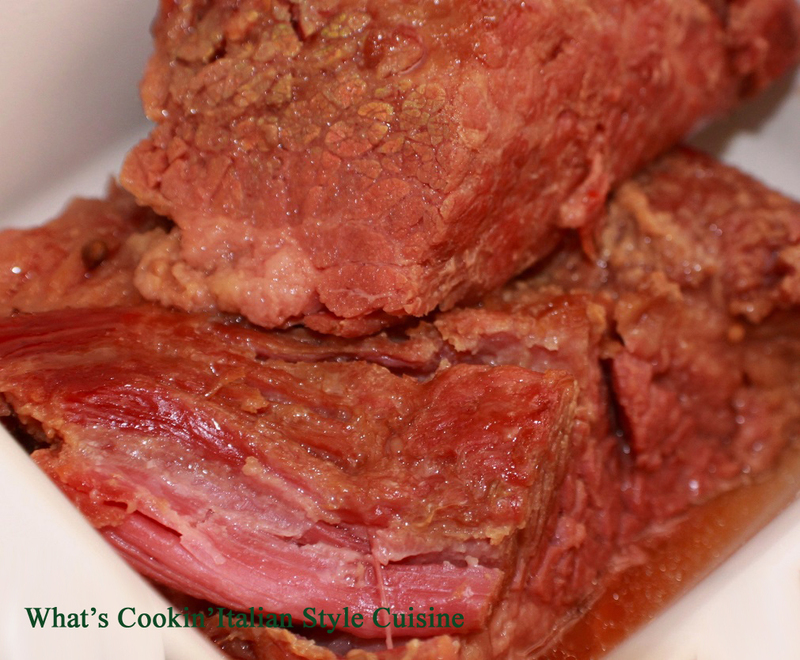 corned beef is so good. but these are all such great recipes! I never even thought about making any special kind of food for St Patricks Day but seeing as there's apparently soo much yummy stuff to make I think I'll have to this year!! 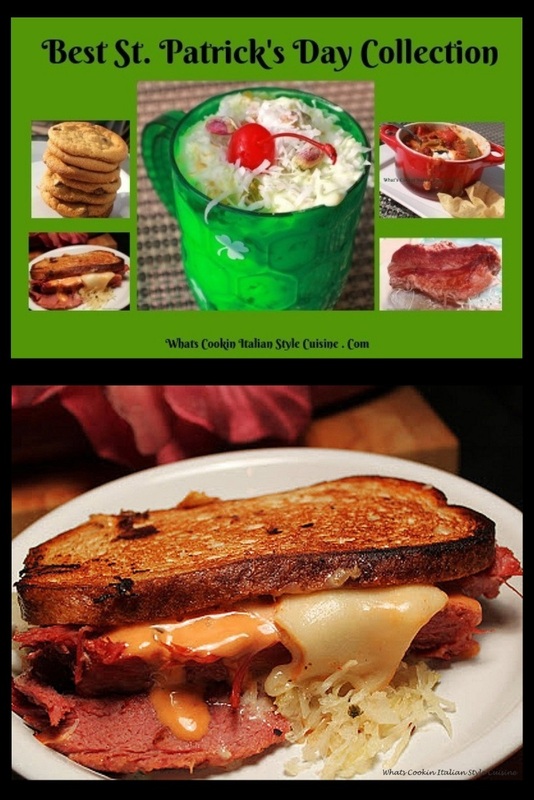 Thanks for these recipes - especially curious to try the Colcannon and the Reuben sandwich! You must have a bit of Irish in you! 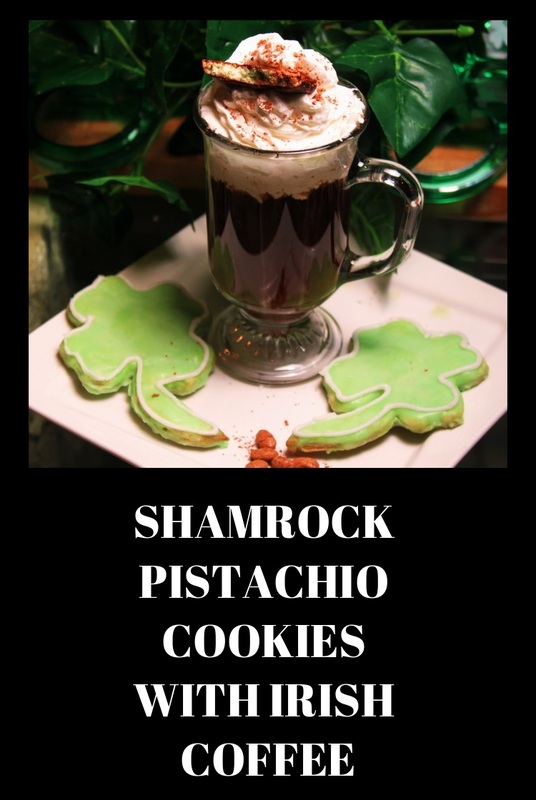 The recipes look fantastic and they'd be a great way to celebrate St. Paddy's Day. 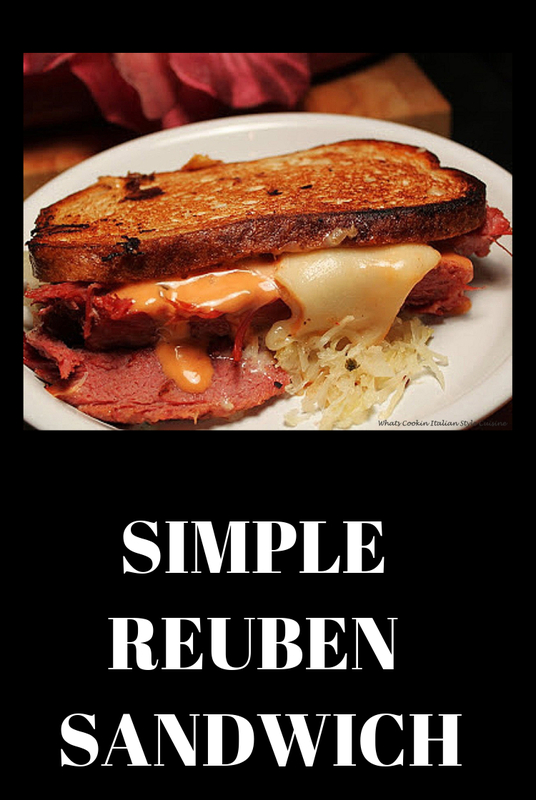 I'm especially fond of Reuben sandwiches. One of the great things about Florida of course its weather is they have seafood Reubens. I love them. If I see them on the menus I'll order. I'll have to try your recipe with some of our fresh caught fish. YUM!! Happy weekend. This is such a great collection. Everything looks super delicious. 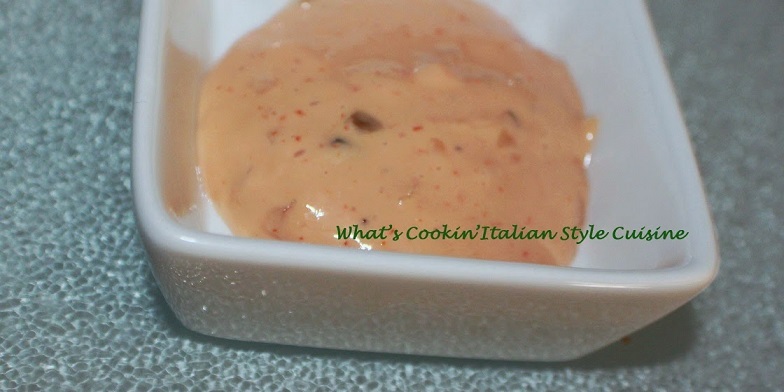 I need to save this post and give some of these recipes a try this year for celebration. I love this amazing collection. That Irish Cream Pie is something! I can imagine the faces of my friends when I bring it to the table - it looks incredible! I'm not sure which of these recipes I'd want to try first - they all look so good! I'd probably have to try the reuben sandwich though. 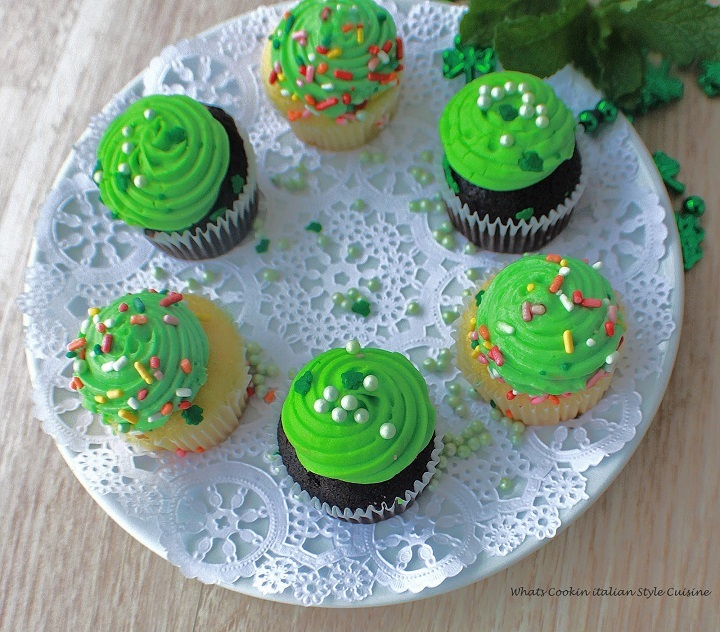 This is such a great roundup for St. Patrick's Day! 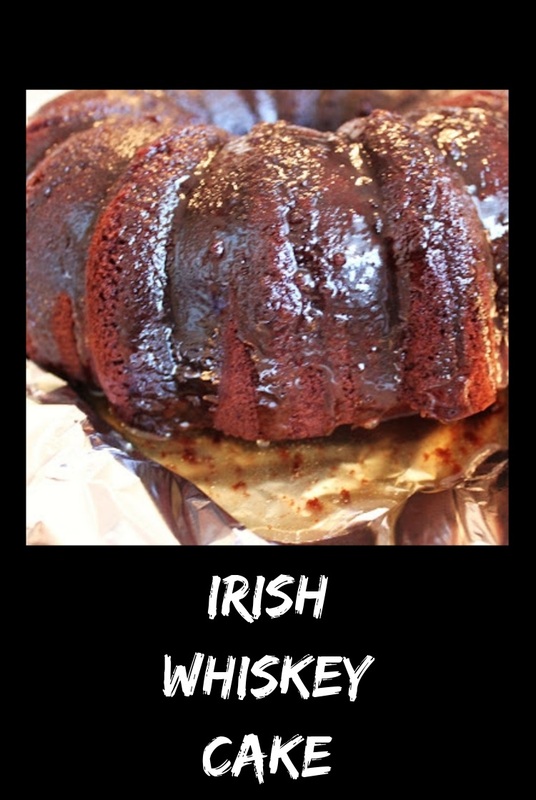 I need to try that Irish whiskey cake. So many wonderful choices! I'm going to start with the guinness gravy over the potatoes and work my way through this list, thanks!